Our Mission is to perform notary services in the State of Georgia with the highest quality, respect, and accuracy as possible. 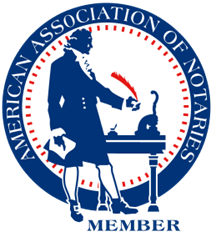 We perform notary services with the highest attention to detail and treat all clients with the utmost respect and professionalism. Welcome to SERPRO LLC Notary Public services, servicing the State Of Georgia. SERPRO LLC Notary Public is a mobile notary that will perform all notary functions in your place of business, or in your home. We will travel distances in excess of 100 miles. As a mobile Georgia Notary Public, we pride ourselves in the services that we deliver and make every effort to fulfill the notary needs of our clients. We accept electronic documents all of sizes by both E-mail and fax, as well as documents delivered via UPS or Fed Ex. SERPRO Notary has been servicing Georgia for over 2 years as a notary and signing agent. SERPRO Notary Public strives for excellence in performance of all work. We will assure that the signing parties are properly identified. For your convenience, appointments are available for all your notary needs. In addition to English-speaking, SERPRO Notary Public is qualified to perform notaries for our Spanish-speaking Clients. Our service standards are the highest quality in the state of Georgia. We perform all of duties with perfect acumen. When you need the very best in notary services, be sure to contact SERPRO LLC Notary Public.